Passionate about the community, that's why I became a councillor. Local issues need support as do the local groups. I mainly work with most but the most rewarding is our Rotary Club 'Bradgate'. Their message being "like minded people joining forces for the better good". We need plenty of that to bring all the groups in the village together; we have so many but really do they get together for the better good. That's my challenge and a challenge I give to all. I have lived in Groby since 1962 and have taken part in village activities including parent governor of Martinshaw and Brookvale High Schools; a founder member of Groby Village Society and of Groby Street Fair, and have been a Parish Councillor for 9 years. I am a retired Nursing Sister. Married to Maureen since 1969 and we've lived in Groby since 1986. We've 3 children who all went to Groby Schools, one of whom now lives in the village, and we've got 5 granchildren. 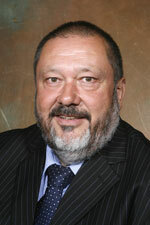 Councillor Cartwright was first elected to the Borough Council in 2007 and has lived in Groby for 26 years. Martin has served on various committees: Chair of Personnel, Chair of ICT, Chair of DSO, Licensing, Planning, Local Joint Safety Panel, Groby Quarry Liaison, Groby Landfill Liaison and Caterpillar Logistics Liaison. 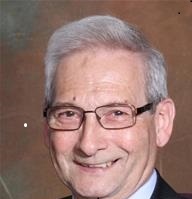 Martin has been Chairman of the Groby Parish Plan Project since 2005, and Chairman of Groby Neighbourhood Watch for many years and is Chairman of the Northern Parishes Crime & Safety. 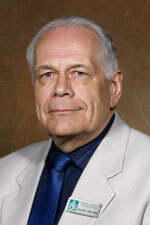 Further Councillor Cartwright was a Groby Parish Councillor between 2005 – 2011 .